Did you catch that title? 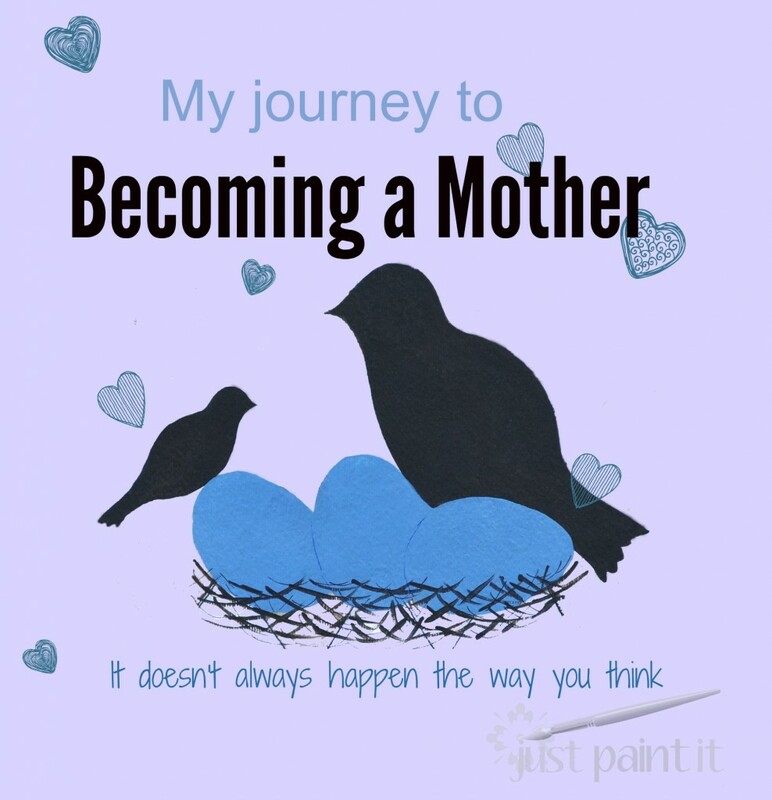 “Becoming a Mother” would lead you to believe that there’s a happy ending to the Part 1 and Part 2, right? Not quite. Or at least, not when I was 21. No, many years passed before I became a mother and today’s story is just one more brick in that pathway. I want to again thank all of you who have left comments, sent emails, and shared your support and your stories. I can’t begin to tell you how overwhelmed I am. I started writing about my journey for purely selfish reasons. Some of you mentioned the courage it takes to write this story. I don’t know about that but one of my readers told me after reading last week’s posts is now going to see her doctor and get checked out. That, my friends, meant the world to me. Ok, so picking up where I left off last week . . .
Will I be able to get pregnant now? I might have been foggy-groggy from all the pain meds but I knew Dr. Bargman’s pause didn’t bode well. He’d just told me he didn’t do a hysterectomy to give me every possible chance at getting pregnant. The surgery had removed the two honeydew melon-sized cysts. What else could possibly be wrong? Ah, the naivete of a 21 year old. Another doctor might’ve tried to dissuade me from asking that question. Another doctor would’ve ignored the pleading in my eyes. Another doctor might have said something like We’ll talk about it when you’ve recovered from surgery. Not Stuart Bargman who, even though he dealt with the highs and lows of infertile females every day, never lost his empathy for his patients. Oh, he made a feeble attempt to put me off by telling me to focus on ‘just getting better’ after the 3 hour surgery. But he also knew that giving me some shred of hope would expedite my recovery time. Before thinking about conceiving we had to first make sure the endometriosis was completely gone. He told me about a medicine that was 80-90% effective in eradicating endometriosis. Ok. Fine. When do we start? “After you’ve recuperated.” Translation: after 6 days in the hospital and after 6 weeks recovering at home. Gah. Nothing and no one could’ve prepared me for that. But now it’s a distant memory, just another bump in the road of my Life. So was taking the medicine after I recuperated. A huge bump. It was called Danocrine – a chemical derivative of testosterone. Yes, the male hormone. I won’t even go into all of the potential side effects here. Let me just tell you, it wasn’t any fun – for me or my husband since one of the main side effects was emotional highs and lows. On a good day I have quite a few of those, so the medicine made me nearly intolerable to be around. I can’t recall if I was on it for 3 months or 6, but it was a long, long time with multiple side effects, monthly trips to see Dr. B, rages and depression. Once I had completed the full course of this very expensive medicine that my insurance did not cover, we had to wait a few months before trying to conceive. But now I felt like I had a secret weapon – Dr. Bargman! I also felt like, although I had endometriosis, there was nothing major wrong with me. There’s something about getting your period, month after month after month, when all of your friends are getting pregnant with one then another and often another child, that makes you feel like you’re completely inadequate as a woman. As a person. Nearly a full year had passed since my surgery. I had fully recovered, gone thru the entire course of Danocrine, and waited the prescribed amount of time to ensure safety before conceiving. Just one more thing – an ultrasound. This time it was easy. I knew there were no honeydew melon-sized cysts in my tummy. One look at Dr. B’s face as he swept behind his desk and my eagerness quickly dissolved back into anxiety. No huge smile. Not even a tiny turned up corner.